Both Delta Airlines and Bank of America have now cancelled their sponsorships of New York City’s Public Theater, following the backlash from their Shakespeare Park production of Julius Caesar, a “contemporary” run on the classic play. However, theirs had a PLOT TWIST that is now making them cringe in hindsight. 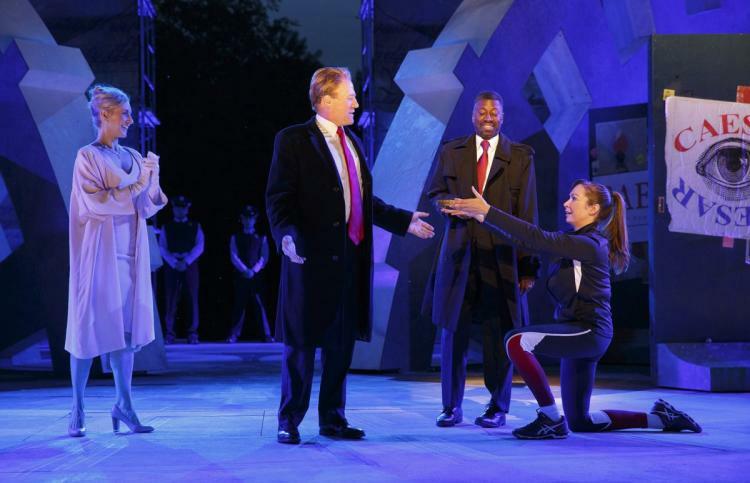 Of course the play itself was Julius Caesar, but the main character’s striking resemblance to President Trump doesn’t take a genius to decode what was really going down. We’re talking blonde, slicked-back hair and a business suit and tie, with his wife Calpurnia speaking in a Slavic accent just like our First Lady, Melania Trump. So it’s not hard to see what they were really saying at all. Excellent news regarding BOA and Delta. They apparently care about their customer base. And don’t support plays about the current President of the United States being murdered. Good to know.